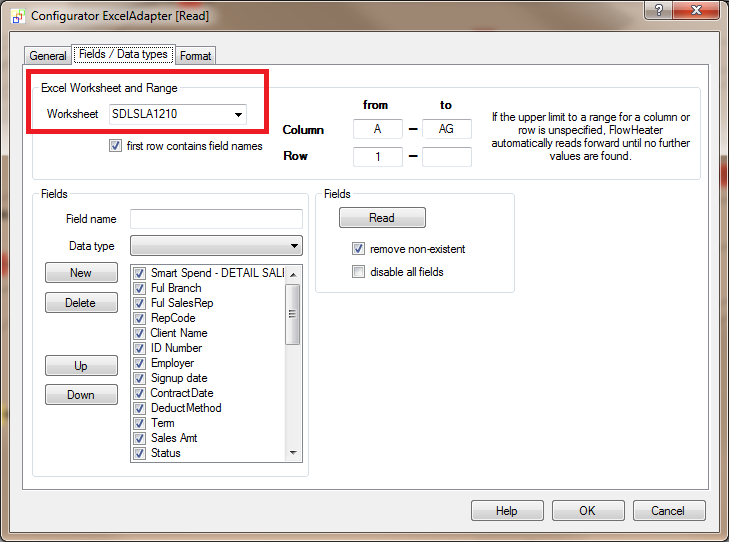 I am using the ExcelAdapter to read data from a xlsx file. My problem is that the sheet is provided by a third party and they tend to rename the sheet on each new file. Can I not access the sheet by index rather than name? How would I get arroudn this, since the process falls over inthe automated env with an error that the worksheet named "x" is not found. For future) I´ll implement this feature with the next version. thanx for the info - but this would not solve the problem, since it still requires me to "know" the sheet name. Problem is with the external provider, they change it without notifying us, but it is always first. When I deal with this in my own system, I access the sheet by index on not name. Now you could download a first BETA version of this new feature here . This version supports Excel sheet indexes. In case the specified sheet name is numeric and the excel sheet name isn’t available in the current Excel workbook FlowHeater tries to get the Excel sheet by the index instead of the name.